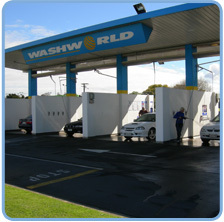 and 5 Vacuum & Fragrance Bays offering you a range of Self-Serve Wash options. 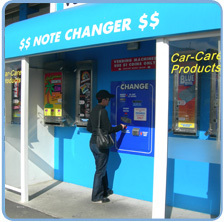 bays and vacuums accept NZ $1 and $2 coins. All Wash Bays are equipped with High Pressure water blaster "Guns"
small buses, BBQ's and much more. and Tyre Cleaner, allow to soak, then rinse off with High Pressure Soap or Rinse options. High Pressure Hot Soap (more water, with less soap) is for general dirt, dust, mud and lime splashes. Squeeze the trigger on the water blaster Gun to get High Pressure. foam is flowing when washing your vehicle, to prevent scratching the paintwork. Rinse off the vehicle with high pressure water, work from the top of the car down. Spray all paint surfaces with the Hot Turtle Wax using high pressure (squeeze the trigger). Then finish with the Spot Free Rinse to remove excess wax deposits. "water spots". This is especially good for new or dark coloured vehicles. with wide nozzles to make vacuuming quick & easy. Brush, then Vacuuming away the foam and dirt. vacuuming. 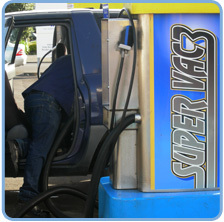 Spray Fragrance Gun under seats, on mats and carpets. There is a variety of Vending Products available.